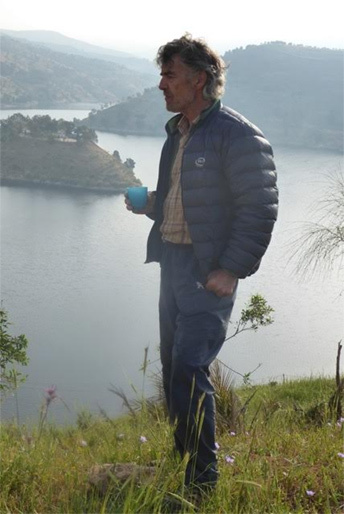 It’s fair to say that Tony Howard knows his way around outdoor gear. The innovations continued – including a lightweight clothing range featuring the famously indestructible Omni trousers – and Tony continued to take the new kit out to the remotest parts of the world and test it out on previously unclimbed routes. So yes, he knows a thing or two about outdoor gear! In the mid-’80s, Tony and his partner Di Taylor discovered the potential of Wadi Rum in Jordan as a climbing and trekking destination, and began working with the government and the local people to develop it. Conservation projects – as well as working to open up areas of Africa, the Middle East and Asia to tourism – has followed, as has the publication of climbing and trekking guides. Then, in the ’90s, N.O.M.A.D.S. (Tony and Di’s company) proposed the idea of the 650km Jordan Trail, running from Um Qais down to the Red Sea: an idea which has now been realised. It can get pretty cold in the desert at night though so, for a while now, Tony’s been wearing our Minimus Jacket. Recently though, he came to see us about a Wafer Jacket: he wanted something exceptionally small, exceptionally light, but nevertheless able to keep off the chill once the sun descends. Given his impressive history in equipment innovation, we’re really very pleased that when he needs to keep warm, Tony comes to see us! Alex Nail is a landscape photographer and time-lapse filmmaker with a passion for mountains and wild places. He was introduced to photography on holiday in Australia in 2004 and subsequently developed a passion for hiking in the outdoors, eventually leading to multi-day backpacking trips in Scotland, Norway, Iceland, South Africa and Greenlad. In 2013 he started time-lapse photography and now uses custom built equipment to produce films in the wilderness. Now a full-time photographer, Alex splits his time between commissions, adventure photography workshops and personal trips. In the latest edition of The BMC's Summit magazine, Alex explains what he chooses to pack on assignment. Along with Canon cameras, a Gitzo tripod, and Leki walking poles, Alex chooses a PHD Yukon Down Jacket, which he says is "exceptionally warm for its weight". Alex's assignments have included an 18-day unsupported packpacking trip in Greenland where every gram counts. One of the features Alex loves about his PHD jacket was that we could lengthen the back to cover the gaps when he bends over to operate his camera. Such customisation is something you can do with any of our products via our Design Your Own Jacket and Design Your Own Sleeping Bag services or by contacting us. TGO Magazine's 2016 awards were announced in Kendal in November. 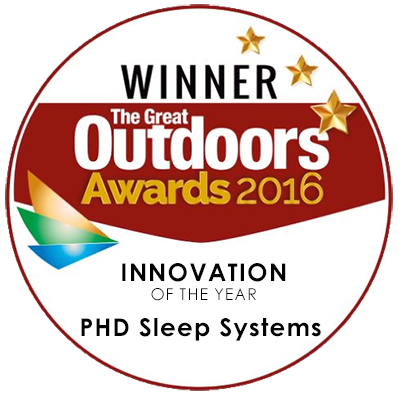 We're delighted to have been awarded 'Innovation of the Year' for PHD Sleep Systems. Our Sleep Systems are mix and match down sleeping bag and clothing combinations, which mean you can carry less, have more flexibility but still stay toasty warm. Of course combining sleeping bags and clothing is nothing new, mountaineers and lightweight backpackers have been doing it for years, but this is the first time anyone has come out with a series of specifically recommended combinations for different scenarios and environments and done the hard statistical legwork for you by telling you exactly how much each set-up weighs and how warm it is. Thanks to the award judges Chris Townsend, Judy Armstrong, Mike Parsons, Emily Rodway and William Renwick. 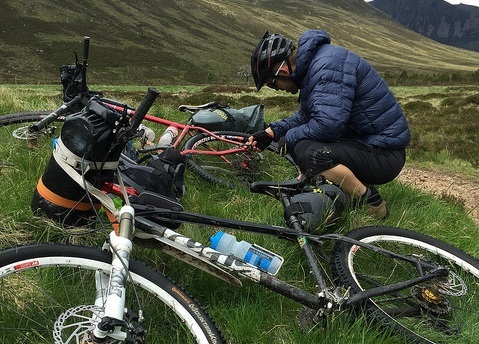 Martin Renton and his mate, have just finished a mountain biking trip in the Cairngorms. 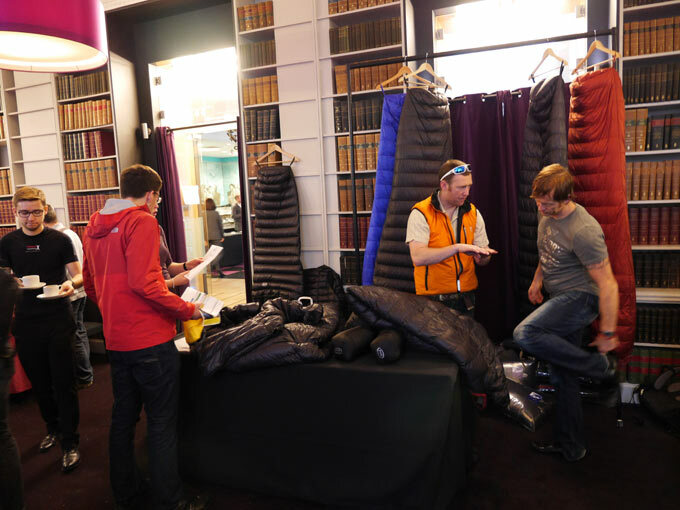 They took a PHD Sleep System: a combination of down clothing and a lightweight sleeping bag. Wearing down clothing at night meant they could pack a much-lighter (and smaller) sleeping bag. And, of course, the down clothing kept them warm on stops, and around camp at night. Martin said “we couldn't believe how small and light the kit was, which was brilliant as space was at a premium and every gram counted”. 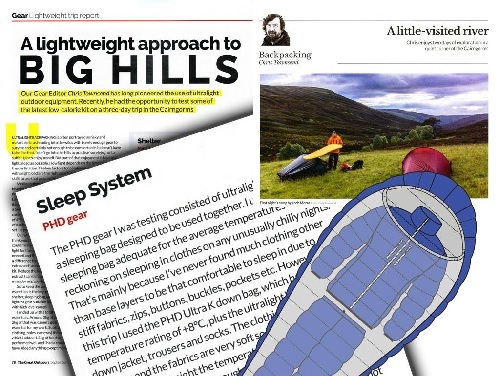 Chris Townsend tests a PHD Sleep System in this month’s TGO Magazine, for a feature on lightweight backpacking in the Cairngorms. Chris’ pack weighed just 5.9kg (excluding food and non-essential items). That low weight was possible, in part, because Chris packed a much lighter sleeping bag than usual, using a PHD down jacket (+ trousers and socks) to achieve the required warmth. He found the combination “very warm and cosy” and liked that he could “emerge from the sleeping bag and not be hit by cold air”. If you’re interested in lightening your load dramatically, our brand-new Sleep Systems framework covers the whole range of outdoor activities from UK camping to 8000m peaks. See for yourself. 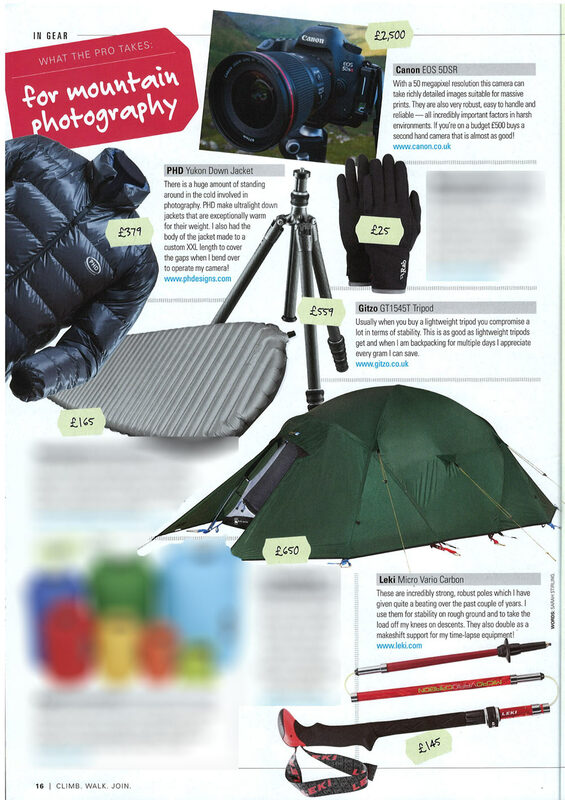 August's Trail Magazine tests the 9 best summer sleeping bags for backpacking and wild camping in the UK. One of our 'Design Your Own' bags is featured and is rated as "the best" superlight bag. The bag is one of almost three billion that it's possible to order via our 'Design Your Own' service. With that level of customisation on offer it's not surprising, perhaps, that Trail thought the bag offered "better value" than the other top-quality bags tested and that it "should fit you perfectly". One of the options in our 'Design Your Own' service is our unique 1000 fillpower European goose down, which was used in the bag Trail tested. This down compresses and insulates so extraordinarily well that it's no wonder that Trail "loved the packed size and the weight". This is the exact bag tested by Trail. 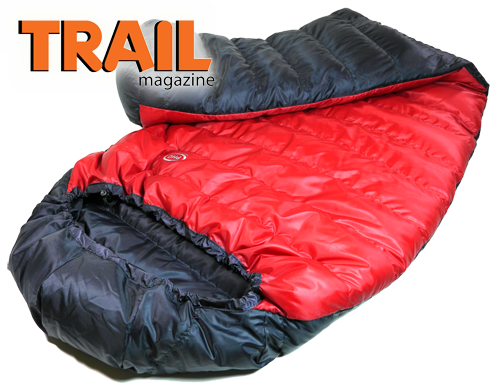 Why not use it as a starting point to find the summer sleeping bag that's best for you? As any film or TV crew will tell you, there’s an awful lot of standing around in the cold…and for the cast whose costumes don’t provide much protection from the elements, it can be even worse! So, as well as outfitting the crew, PHD can create specially sized “cover-coats” for the cast. Cut larger inside than a standard jacket, cover-coats accommodate the extra bulk of the actors’ costumes which would otherwise compress insulation and reduce warmth. 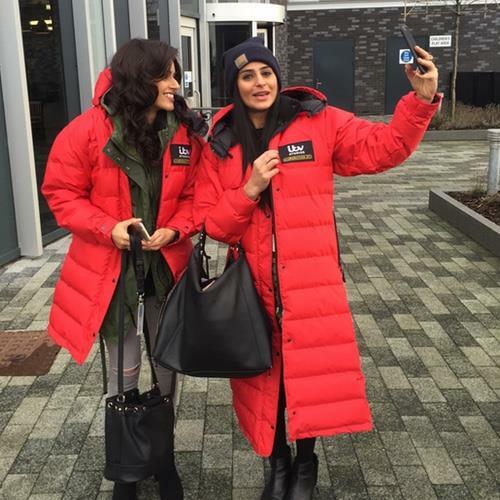 They’re not just for epics set in the wilderness: when Coronation Street did their live episode in 2015, it was PHD cover-coats keeping the whole of the cast warm when they were off camera – that’s nearly 100 jackets. They were built to perform like our Minimus Jacket, but in this case using extra tough, waterproof Tempest fabric to shrug off the Salford weather! We made the mens’ jackets mid-thigh length, while the ladies’ are down to the calf (because standing around in a dress in the cold isn’t much fun). Kids’ sizes are available too. They’re all made to order, so get in touch and we can discuss whatever requirements you have. 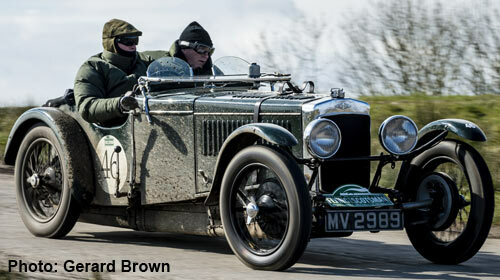 Congratulations to Anthony Galliers-Pratt for finishing the Flying Scotsman Rally in a 1932 Frazer Nash TT REP. The Rally had 132 participants, all in pre-war cars, and all covering over 700 miles from Belvoir Castle to Gleneagles. To keep warm in his open-top two-seater, Anthony ordered a special version of our Arctic Down Jacket, which is rated down to -30°C. In keeping with the vintage theme of the rally, we made Anthony's jacket in olive green Ventile fabric. Not only did the colour blend in with the Racing Green colour of his ride, but the Ventile fabric also has a heritage dating back to the 1930s. Like the Frazer Nash, Ventile fabric and all of our clothing continue to be designed and made in the UK. If, like Anthony, you have a particular requirement that can't be met by our regular product catalog, take a look at our Design Your Own Jacket service, which offers over 50,000 different possibilities. With our Design Your Own Sleeping Bag service, there are even more possibilities -- over two billion. And if you still can't find what you're looking for, feel free to contact us with your requirements. Our new 'Desert Race' Pullover / Halfbag combination cuts weight and bulk while keeping your legs and feet warm enough for a good night’s sleep. See how it works in our new video. We use Primaloft Gold in our Sigma, Kappa, Alpha Belay, and Zeta Belay jackets; in our Sigma and Kappa vests/gilets; in our Polar insulated socks; in our Kappa and Polar insulated mitts; and in our Kappa insulated trousers. In the last three weeks of training, try to train at high temperatures. This makes a massive difference in the body’s ability to cope with the 40°C heat of the desert. James trained in a heat chamber at 50°C. If you don’t have access to a heat chamber, James suggested using a turbo trainer in a sauna. Make sure your tent companions are varied in their abilities and aspirations. This reduces competitiveness in the tent. James chose to keep his pack size as light as possible, even going as far as scrounging food off others! Our lightweight Desert Race collection (which returns in November 2016), designed specifically with the MdS in mind, will help here. More tips, including from James, on our live blog from last year's event. ULTRALIGHT, EVERYWHERE: Our ultimate expedition kit gets 1000 down & 10% lighter. We've extended our 'K Series' range to include our Ultimate mountaineering / expedition sleeping bags - the Diamir Range - and our Xero expedition Down Clothing. All 10% lighter thanks to 1000 fillpower down and our lightest-ever fabrics. Find out more. New Down Outerwear for Trekking and Mountaineering in the Greater Ranges. When deciding how to pack for trekking & mountaineering in the greater ranges you need to balance weight against performance. Our new Rondoy gear (all rated to -20°C) makes that decision easier. Take the 'K Series' Rondoy Jacket filled with our exceptional 1000 fill-power down. It's a big-mountain down jacket that weighs just 500g (18oz). To complement the Jackets we’re also introducing a new product: our lightest-ever down trousers for big mountains & high-altitude trekking. Two quilts that stud together to give three options for all-year-round versatility. Available in single, double or king sizes. The top quilt is the lightest & coolest. Use on its own in the summer months, at lower altitudes, and in warmer temperature zones. The thicker base quilt is used on its own for the chillier spring and autumn months. Join the two quilts together for cold winter nights.